Whenever you see a Migraine specialist one of the first things they will ask is 'do you keep track of your attacks?'. It makes sense, the more information you give them the more they can help you. You don’t want to present them with an exhaustive list of every half detail of every attack, they won’t have time to review it. They just need to see the frequency and nature of your attacks and some relevant context. By far the most important piece of information you need to record is when the attack happened. From this single statistic collected over several months you can learn so much about your attacks. Just having these statistics can give you confidence on the days you know historically you've had few attacks and to take extra care (plenty of sleep, eat well, avoid stress) on days you know have been a problem. 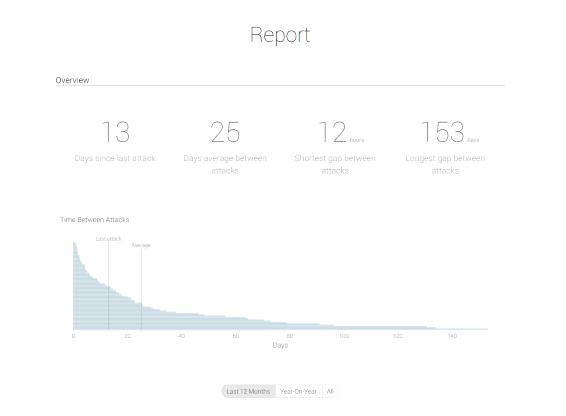 As well as logging when attacks happen adding some context to the attack will give you extra insight. You don’t need to tick off a long list of potential triggers, things aren't as black-and-white as that. You should record what you were doing, what was happening in your life when the attack happened and anything that you feel may of played a part in the attack. To summarize, keeping a Migraine diary is important but it doesn't need to be complicated. 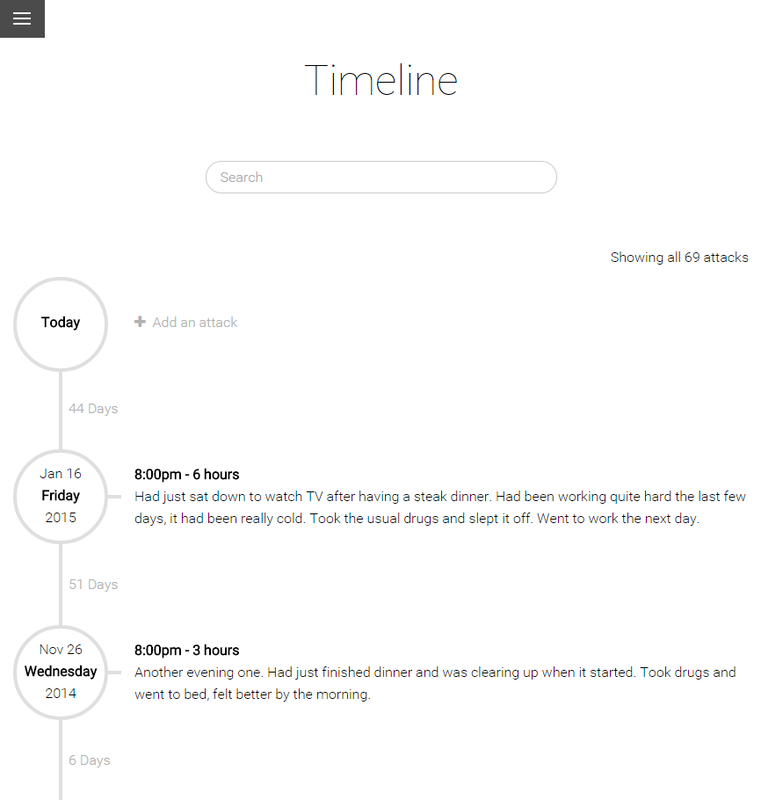 Make sure you log every attack and few details about what happened.